Traditional Naturopath | Dr. Bill Bailey Traditional Naturopath | Dr. Bill Bailey, Ph.D., MH, ND, CNHP, CTN discusses issues in the Natural Health field. Dr. Bill Bailey, Ph.D., MH, ND, CNHP, CTN discusses issues in the Natural Health field. Click on the “Play” button (the triangle pointing to the right) below to play it as Streaming Audio. Follow Dr. Bill on Twitter! Drink Water – Even If You Hate Water! Water is critical to your body! A large percentage of your body is made up of water, and most Americans are sadly dehydrated! Vitamin Shoppe – by Cassie Shortsleeve – “Water is a life necessity, there’s no way around it. Up to 60 percent of our bodies are made of H20, after all. But let’s be real: Drinking plain water day after day can be downright boring. 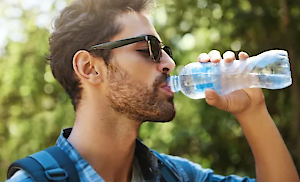 That could be part of the reason why up to 75 percent of the U.S. population is chronically dehydrated, according to Medical Daily. Fortunately, there are fun ways to stay hydrated, and you can start with these eight. blender_bottlesThe market is flooded with water bottles for every personality. Picking one up will only set you back a few bucks, and carrying around a bottle that perfectly matches your mood or outfit will motivate you to drink up. A glass of 100 percent fruit juice can be sky-high in sugar, sure—but a splash can easily sweeten water naturally, says Keri Gans, R.D., author of The Small Change Diet. Not a fruit juice fan? No biggie. Stick with the fruit itself. Add fresh slices of lemon, lime, cucumber, orange, strawberry, or watermelon to a jug of water and refrigerate, suggests Gans. If you want, throw in an herb like mint, which (added bonus!) works to soothe your stomach in the case of indigestion, she notes. Pro tip: Pick up a decadent glass dispenser to showcase your infusions. Who doesn’t want to sip water when your beverage is worthy of a Pinterest board? Fresh fruits and vegetable.Upgrade your glass by making it tasty, nutritious, and good-looking. How so? Fancy ice cubes! To create your next-level cubes, start with pairing fruits and herbs like cucumbers and basil, lime and mint, or lemon and honey. Chop your ingredients into very small pieces, sprinkle them into your ice cube compartments, and fill with water. When chilled, serve with a glass of water or seltzer (while looking at just how awesome your creation turned out!). For a healthy-gut boost, mix with Ultimate Flora Probiotic Fizzy Drink Mix in Raspberry Lemonade. You can’t go wrong with a drink that packs a nutritional punch and is bursting with flavor. Add an immune-boosting Vitamin C pack, or a protein (like Clean Protein – Unicorn Milk, especially within 30 minutes of your workout) to your water to reap extra benefits. Or, go for BodyTech’s Aminos, which are designed to help your body recover post-workout. Need a dose of energy? Garden of Life’s Organic Plant-Based Energy + Focus is a great-tasting (and totally clean) way to help get your body and mind into gear. Tea in white cup with ginger, lemon, cinnamon and honeyFile this one under ‘who knew?’: ‘A little amount of ginger can make a simple glass of water full of flavor,’ says Gans. To boot, it comes with a whole host of health benefits. According to Herbal Medicine: Biomolecular and Clinical Aspects, ginger offers up antioxidants to support the immune system, while it also promotes digestive health. To get in on those benefits, cut a two-inch slab of ginger and add to your water. For a warmer concoction, add a bit of warm water, a slice of lemon, and a spoonful of raw honey to the ginger-y mix. Water haters might want to consider a machine like a SodaStream, which can covert a bottle of plain ol’ H20 to bubbles in seconds. While seltzer water (even unflavored) is a bit more acidic than regular water, most of us won’t see any teeth issues from sipping the sudsy stuff. And if you pop a couple strawberries, cucumbers, or lemon slices into the mix, you’ll have an updated, delicious beverage. The beauty of hydration is that you don’t have to always be drinking to achieve it. According to Nutrition Review, plenty of fruits and vegetables (think: cantaloupe, strawberries, watermelon, lettuce, cabbage, celery, spinach, pickles, and cooked squash) are found to be made up of 90 to 99 percent water. You generally need about 64 ounces (or 1900 milliliters) of agua per day, so if you’re not interested in drinking it all, consider the water content of these fruits and veggies: A medium cucumber offers about 194 ml, a slice of watermelon contains about 147 ml, and a medium tomato offers about 119 ml. Since these are pretty widely available foods, it’s easy to get a lot of your water you need from the foods you’re probably already eating. A good night’s sleep is highly under-rated as a natural health benefit. You MUST get enough sleep to let your body rebuild itself after a long day of work. Your muscles rebuild at night, your mind sorts out the issues of the day, your body renews and refreshes itself through sleep! Sleep.org – “Think you can learn to survive on less than six hours of sleep a night? Think again. 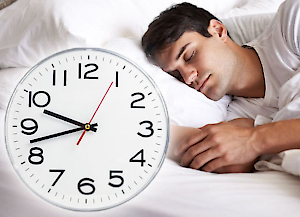 Adults typically need between seven and nine hours of shut-eye a night to function at their best. Between health care expenses and lost productivity, insufficient sleep in the U.S. rings in at an annual cost of about $66 billion. How come? When you’re awake, a chemical called adenosine builds up in your blood, and when you sleep, your body breaks it down. Skimp on sleep, however, and adenosine builds up in your bloodstream, making you more and more desperate to snooze. Your reaction time slows, which makes you more prone to dangerous mistakes when driving. A shortage of sleep is to blame for some 100,000 traffic accidents, 76,000 injuries, and 1,500 deaths a year. And it adds up. Getting just two to three hours too little sleep for a few nights can have the same effect as pulling an all-nighter—yet it’s something that many Americans routinely do. If that doesn’t sound like a big deal, consider this: Staying up for 24 hours straight and then getting behind the wheel is like driving with a blood-alcohol content that deems you legally drunk in all 50 states. Just like with a credit card or a mortgage, sleep debt eventually has to be repaid. And the more you add to it, the bigger your balance. Sleeping in on the weekends (a common practice) is one way that you might try to combat a shortage of weeknight sleep, but it’s usually not the best strategy. If you have to overcome a one- or two-hour sleep debt, it might work. But if you’re under-sleeping by, say, an hour every night, Monday through Friday, you’ll end up with a whopping five hours of sleep debt by the time Saturday rolls around. And sleeping in too much on Saturdays and Sundays can make things worse by throwing off your regular snooze schedule and making it harder to sleep on Sunday night. Your skin is the largest organ in your body! (I know, that will make you say, “Hummm.”) But, it is! Here are some tips to maintain healthy, vibrant skin! MBGLifestyle – By: Kristy Rao – “There may not be a fountain of youth, but the food we eat and how we treat ourselves can prevent or even reverse aging. Your body needs the right nutrients to fight off damage, and your skin is no different. Nutrients help the cells replicate and have more energy. Processed foods, stress, toxins and low-nutrient diets will accelerate aging. Protecting yourself from harmful chemicals while getting enough sleep, relaxation and exercise will all help you maintain a healthy glow. Even with a small amount of dehydration, your body functions in a less optimal way. The instant you’re dehydrated, it will take a toll on your skin, causing it to look dull, flaky, saggy and loose. 2. Eat foods with antioxidants. 3. Have a rainbow-colored plate of food. Free radicals form in our bodies and cause major damage to our cell structures. The different nutrient-rich foods we eat neutralize them. You need to consume the widest variety of antioxidants you can to fight off the different kinds of free radicals. Think about what colors you’ve missed throughout the day, and try to incorporate them into your next meal. This curtails consumption of aging toxins. 5. Limit your sun exposure. Small amounts of daily sun produce vitamin D and are beneficial, but too much sun will damage your skin. Don’t forget to wear your sunglasses, and use zinc or titanium dioxide sunscreen. 6. Opt for natural skin products. Many skincare products contain harsh chemicals. When choosing moisturizers or makeup, research the ingredients in them the best you can to confirm that they’re safe. 7. Use non-toxic cleaning products. It is imperative to limit exposure to toxic chemicals because the skin absorbs them. Indoor pollution levels can be even higher than outdoor levels. A plant in your home or by your desk at work will act as an air filter. 9. Get enough vitamin C.
A diet rich in vitamin C leads to fewer wrinkles. Researchers have found that skin exposed to vitamin C for long periods of time can produce up to eight times more collagen! It leads to damaged collagen and elastin, which cause wrinkles. Incorporating foods such as avocados, olive oil, flax seeds, nuts and fish into your diet is important. 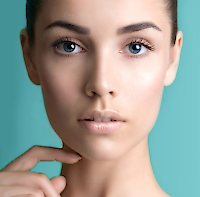 The fatty acids are crucial for your skin to look youthful. A build up of toxins in the body due to the air, water and food causes damage to the body as well as aging. Detoxing by way of a juice cleanse is recommended for the body to be able to focus on energy production and eliminating toxins. Having a glass of water with squeezed lemon first thing in the mornings is also very cleansing. 13. Engage in activities that relieve stress. High levels of stress will compromise your skin. Consider yoga or meditating. Eliminate problematic people and activities from your life. Confide in your friends and openly talk to them about your worries and troubles. You skin rejuvenates and repairs itself mostly while you are asleep. Make sure that you not only sleep for eight hours a night, but that it is quality sleep. Many report the benefits of Apple Cider Vinegar. They include: killing all kinds of bacteria naturally, lowers blood sugar levels, helps with weight loss and reduces belly fat, as well as lowering cholesterol, and improving heart health. In this article by Dr. Joseph Mercola, he points out the best way to make and use Apple Cider Vinegar. Mercola.com – Dr. Joseph Mercola – “It’s apple-pickin’ time in North America, and while all eyes are on apple pies and everything else apple-related, you may want to take a closer look at the health benefits of apple cider vinegar, A Great Gut Feeling suggests. From helping with satiety and weight loss to improving blood sugar levels and reducing triglycerides, apple cider vinegar has proven to be a great health booster. The virtues of apple cider vinegar just go on and on, but before you rush out to buy a bottle, be sure that you know the difference between regular filtered apple cider vinegar and the unprocessed, unfiltered, raw, organic apple cider vinegar that offers you the best health benefit for your dollar. What I’m talking about here is apple cider that comes with its distinguishing feature called ‘mother’ — dark, strand-like chains of cloudy, enzyme-rich, probiotic bacteria found floating in the bottom of the bottle. 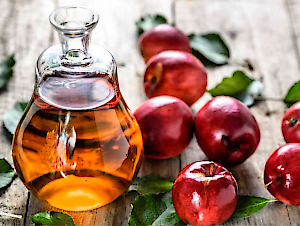 The good news is, if you’re not yet familiar with the many beneficial uses of this versatile and economical home remedy, besides helping with blood sugar and weight loss, apple cider vinegar (ACV) also helps with acid reflux and an upset stomach — and more. From alleviating symptoms of sinusitis and sore throat to using it to address certain skin conditions, ACV is a versatile product with unending applications. It even is a great and safe, all-natural, cleaning product! If you’re wondering what the difference is between the ACV with the ‘mother’ and the filtered jug of clear vinegar beside it on the store shelf, ACV is made from fermented apples in a process similar to the one used for making other homemade fermented brews, such as kombucha. Next, the apples are strained out and the liquid is maintained, again at room temperature, for an additional three to four weeks. At this time, the alcohol is transforming into vinegar through the action of the acetic acid bacteria — this particular acid gives vinegar its distinctive sour tang. A New “Shortcut” URL for This Web Site! I know that “TraditionalNaturopath.com” can be hard to type, so we now also have a shortcut URL for you: “DrBill.LIVE” because I, (Dr. Bill) want you to LIVE healthy! I hope this helps! ‘Vaping’ can adversely impact your immune system, and increase inflammation, the effects of Wheat Gluten and other wheat proteins in your gut, The Keto Diet: five proven benefits for your health! Five Benefits of a Keto Diet! This is definitely the best diet for losing weight, and remaining healthy! 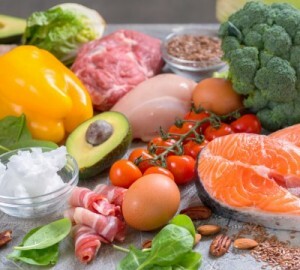 The Keto Diet: 5 Proven Benefits For Your Health! 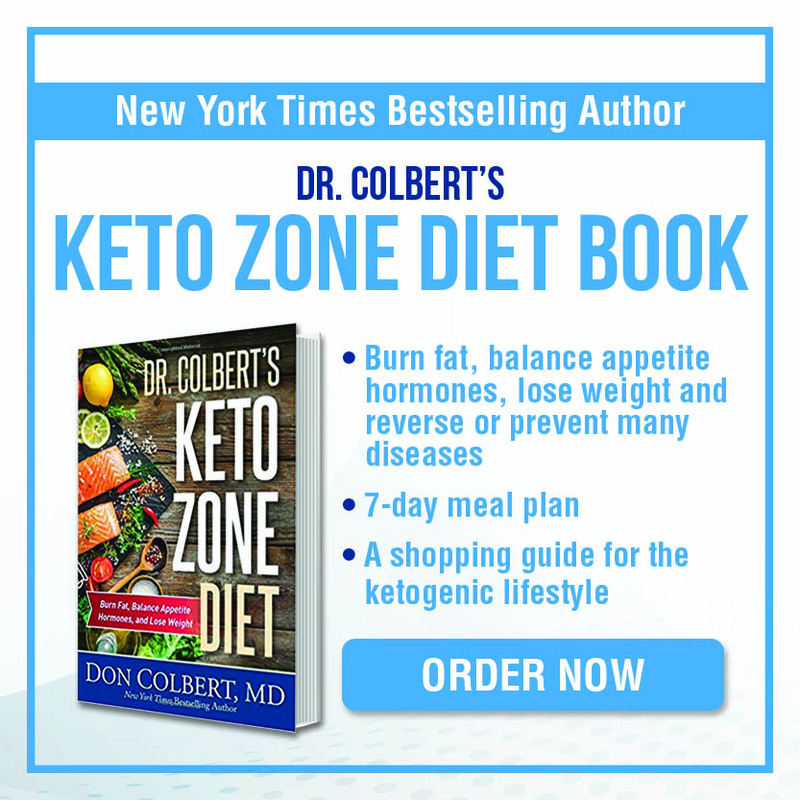 DrColbert.com – Dr. Don Colbert, MD – “The keto diet has recently been exploding in popularity. Adherents claim effects ranging from weight loss, craving reduction, and blood sugar balance to cognitive enhancement and cancer treatment. There are athletes, celebrities, CEOs, and doctors all adopting this diet and talking about the dramatic effects of burning fat for fuel. With all the hype, it might just seem like another passing fad diet. The fact is, however, that the ketogenic diet is nothing new. It has been used by western medical doctors to treat epilepsy for close to 100 years! The keto (short for ketogenic) diet brings the body into a metabolic state called ketosis. Ketosis refers to the body’s utilization of ketones for energy as opposed to glucose. Ketones are byproducts of fat metabolism and glucose comes from sugar metabolism. Most cells in the human body can use either of these fuels for energy but preferentially burn glucose, only switching over to fat once all the glycogen (sugar stores) in the body has been depleted. Yet, since most people on a Standard American Diet (SAD) eat so much sugar, their cells are never able to switch over to ‘fat burning mode.’ For many people, it has been so long since their cells have utilized ketones for energy that they actually have to retrain their bodies to be able to do so. All this biochemistry makes more sense when you take a step back and think about it logically. As humans we have not always had a stable food supply. In the past we did not have grocery stores or drive-thru windows and famine was much more common. In times of food shortage when carbohydrate intake would have been low, the human body adapted to burn body fat to sustain itself. So essentially, a ketogenic diet is mimicking some of the effects of fasting by limiting carbohydrates and forcing the body to burn fat. The benefits of the keto diet are certainly real and far reaching in scope. Although not ideal for everybody all of the time, a ketogenic diet has been proven to help in 5 important areas of health and wellness. This is possibly the most popular contemporary application of the ketogenic diet. In fact, a modified ketogenic diet is the foundation for the Slender System for weight loss used to help thousands of people reach a healthier weight. When carbs are kept below 50-30 grams per day, the body does not have enough glucose to support the energy needs of the body and will be forced to begin utilizing fat. Once all the fat that has been consumed has been used up the body will then turn to stored body fat for energy. So by maintaining low levels of carbohydrate intake and a small caloric deficit you can stimulate fat burning and begin dropping the pounds. There is ample scientific and anecdotal evidence to support the efficacy of a ketogenic diet for weight loss. High fat and adequate protein intake can help suppress the ‘hunger hormone’ called ghrelin. This 2013 study suggests that a ketogenic diet results in more satiety than other diets. It is very common for people to surprised by the degree to which they are simply not hungry once their body has become adapted to burning fat for fuel. However, keep in mind that although fat and protein alone can help suppress hunger, it is also important to maintain a high intake of low-carb non-starchy vegetables for their valuable fiber and nutrient content. Fiber has an immense effect on satiety and is crucial to a successful ketogenic diet. Most Americans are on a constant blood sugar roller coaster ride. From the moment they eat that muffin, bagel, donut, or bowl of cereal, their blood sugar spikes up and then falls after a couple of hours prompting a mid morning snack to make it through to lunch. After lunch there is the mid-afternoon pick-me-up treat to make it until dinner and then the after dinner dessert. Many people even wake up in the middle of the night to chow down because their blood sugar is so imbalanced they can’t even make it through the night. A Ketogenic diet fixes this by keeping the blood sugar low and allowing the insulin sensitivity to reset. The transition from sugar-burning to fat-burning can be difficult for a few days as the body adapts and the blood sugar levels stabilize. As stated earlier, the keto diet was first applied in the successful treatment of epileptic seizures. There has also been application in the treatment and management of alzheimer’s disease. In fact, many researchers are beginning to refer to alzheimer’s as type 3 diabetes, indicating the role of glucose metabolism in the progression of the disease. The most readily noticeable effect of switching to a ketogenic diet is the marked improvement in cognitive performance. Many CEOs and Silicon Valley tech entrepreneurs have adopted the diet for this very reason. The sense of clarity and focus that can be achieved when the brain starts burning ketones for energy can be quite profound. It makes sense that in a state of caloric deprivation that the body would begin to produce a fuel (ketones) that allows for clear and lucid thinking that can help one be more likely to find food. Ketones are so powerful for brain performance that there is an emerging market of exogenous ketone supplements that people take specifically to boost cognitive function and aid in weight loss. One source of exogenous ketones comes from MCT oil, a derivative of coconut oil that is readily converted to ketones to be used by the brain. Although controversial, there is growing evidence that a ketogenic diet can fight cancer by depriving them of their preferred food source: sugar. One of the leading ketone researchers Dominic D’Agostino explains how this works in his 2013 TED talk. Essentially, cancer is a metabolic disease affecting the ‘power houses’ of the cells called mitochondria. Almost all healthy cells in the body are able to use ketones for fuel, but cancer cells are unable to switch from glucose to ketones for fuel. So with all these amazing benefits, you’re probably wondering how you can get started on a ketogenic diet. A state of ketosis can be usually be achieved by eating less than 50 grams of carbohydrate per day for 3-5 days. Ideally protein consumption would be less than 100 grams per day as excess protein can be broken down into glucose in a process called gluconeogenesis. The rest of the diet should consist of healthy fats. Eating the right kind of fat is really important because rancid oxidized (damaged) fats can cause inflammation and hinder your progress on the diet. Opt primarily for saturated and monounsaturated fats because they are the most stable. Healthy saturated fats include: raw grass-fed dairy, grass-fed and finished beef and lamb, free range eggs, coconut oil, and MCT oil. Monounsaturated fats are found in: olive oil, avocados, nuts, seeds, and fish. The other important fats are the Omega 3 polyunsaturated fats DHA and EPA which can be found in fish and krill oil. To follow up on information from our last podcast on Gluten Issues, here’s an article about the effects of wheat gluten. PaleoLeap – “‘Gluten’ is basically a buzzword at this point, but even if you’re avoiding it, do you really know what it is? And did you know that there’s other stuff in wheat that’s also worth avoiding: wheat is bad news for reasons that have nothing to do with gluten. Here’s a look at 11 reasons why. First of all, a refresher: wheat is a grain. The calories in wheat come mostly from carbohydrates, but wheat also contains a few problem proteins. Problems caused by these proteins are not the same thing as blood sugar problems caused by the carbohydrates in wheat. It’s true that getting a majority of calories from wheat (especially refined wheat) can cause metabolic problems like blood sugar swings. But these problems would be caused by any high-carb diet, and they’re only relevant for people eating a large amount of wheat: something like a spoonful of soy sauce wouldn’t be a problem. This post is not about metabolic issues like blood sugar and carbohydrates. It’s about a totally different list of problems caused specifically by wheat and the proteins it contains. These problems are relevant even for people eating a small amount of wheat, and even for people who do fine eating carbs. So what’s so bad about wheat? The most famous problem with wheat is celiac disease, an autoimmune reaction provoked by gluten and treatable with a gluten-free diet. 30-40% of people have the genetic background to potentially develop celiac disease, but only about 1-3% of people actually do – it’s not clear why but it may have something to do with the gut microbiome. Most people know that celiac disease requires absolutely strict avoidance of all gluten. But a lot of people also think that if you don’t have celiac disease, you’re completely in the clear. That’s not true. Recently there’s been an increased amount of interest in non-celiac gluten sensitivity (NCGS). Plenty of people have documented sensitivities to gluten that aren’t actually celiac disease (as you’ll read below, there’s a different immune reaction involved). There’s also the overlapping problem of other proteins in wheat – wheat germ agglutinin and amylase trypsin inhibitors are not the same thing as gluten and you can be sensitive to them regardless of how your body handles gluten. Wheat isn’t just a problem for people with celiac disease, and there’s more to wheat than gluten. Inflammation is the natural response of your immune system to injury. You can see it in action whenever you get a cut or splinter and the surrounding area gets all red and tender. The proteins in wheat are gut irritants: they’re like that papercut or splinter digging into the lining of your gut, causing an inflammatory response. The most famous case is the inflammation caused by gluten in people with celiac disease or non-celiac gluten sensitivity. But inflammation from wheat is also a problem even for people who aren’t sensitive to gluten specifically. Amylase trypsin inhibitors (ATIs for short) that can provoke an inflammatory immune response in the GI tract by stimulating immune cells. This occurs in people regardless of whether they have celiac disease or not – it’s a completely different problem from gluten and it can cause trouble for you regardless of whether or not you’re sensitive to gluten in particular. Inflammation in the gut contributes to a problem called intestinal permeability. The gut has a very complex system of ‘border control’ that lets digested food into your bloodstream (this is how you get nutrients from it) while keeping everything else out. Every day, you swallow millions of random viruses, bacteria, indigestible molecules like dust, and other stuff that needs to go out the other end, not into your bloodstream. Inflammation in the gut messes up that system of border control. It loosens the junctions between cells in the gut wall so too much stuff can pass through. This is often described as making the gut ‘leaky’ (hence the popular name of ‘leaky gut’). On top of inflammation leading to increased permeability, gluten accelerates this process by stimulating the release of a protein called zonulin. Zonulin independently contributes to loosening the junctions between cells in the gut. Add together the inflammation and the zonulin, and wheat has a powerful effect on gut permeability, which is really a problem. Intestinal permeability is a big problem – most notably because it’s an essential factor in the development of autoimmune diseases. Another one for the non-Celiac crowd: wheat germ agglutinin is an inflammatory, immune-disrupting protein found in wheat and despite the similar name it isn’t the same thing as gluten. Wheat germ agglutinin can provoke an inflammatory response in gut cells and disturb the natural immune barrier in the gut, making the gut more permeable to things that don’t belong in your blood. Again, this is totally separate from the problem of gluten. Obviously, gluten and WGA usually come as a package deal, because they’re both found in wheat, but you can have trouble with WGA even if you had no reaction to a gluten elimination challenge. Items #1-4 on this list discussed how wheat makes the gut more permeable, so all kinds of stuff can get into the bloodstream even though it shouldn’t be there. Included in that stuff is… gluten! Specifically, gliadin, which is a component of gluten. Once it’s inside your bloodstream, gliadin runs into your immune system, and that’s where the problems really start, in the form of molecular mimicry. Molecular mimicry works like this: some foreign thing gets into the bloodstream. The immune system forms antibodies against it. So far, so good: that’s how the immune system is supposed to work. But if that foreign thing looks enough like your own body’s tissue, then the antibodies formed to fight it might start attacking your own body as well. Molecular mimicry may be the reason why people with celiac disease mount an attack on their own gut cells: to your immune system, gliadin looks a lot like the cells lining the gut. But it’s not just celiac disease! Gluten-related inflammation may also be a factor in the development of Crohn’s Disease, another autoimmune gut disease. In this study of patients with inflammatory bowel disease (Crohn’s Disease and ulcerative colitis), a gluten-free diet helped a majority of people who tried it. If you go digging into the research on celiac disease and gluten, you’ll find a bunch of studies linking it to all kinds of other autoimmune diseases, including autoimmune thyroid disorders, type 1 diabetes, fibromyalgia (for both celiac disease and non-celiac gluten sensitivity! ), rheumatoid arthritis, autoimmune liver disease, and a couple different autoimmune skin diseases. The common factor here might be the gluten. Wheat gluten is a major potential trigger of Type 1 Diabetes (that’s the autoimmune type, not the diet-and-lifestyle type). In this study, feeding mice a gluten-free diet reduced the rate of Type 1 diabetes in their children. There’s also evidence that breastfeeding human children reduces the rate of type 1 diabetes, which would make sense if gluten is the problem because breastfeeding delays the introduction of gluten to the baby. Hey, by the way, guess what other common health problems have an autoimmune component? Obesity and Type 2 Diabetes. 7. Autoimmune Reactions in People Without Celiac Disease. Point #6 above gave a lot of reasons why celiac disease is associated with other autoimmune diseases, but it’s not limited to people with celiac disease. If you thought non-celiac gluten sensitivity was unrelated to autoimmune disease, you thought wrong! This study found that a lot of people with non-celiac gluten sensitivity have autoimmune markers in their blood, suggesting that the wheat exposure might be causing autoimmune issues even without celiac disease. One interesting aspect of this is that patients with non-celiac gluten sensitivity may have a different type of autoimmune reaction, which just underlines that celiac disease and non-celiac gluten sensitivity are two different things. But the point is that both involve potentially serious autoimmune responses. Not the all-important gut biome! The gut biome, aka the gut microbiome, aka the gut flora, is the collection of friendly bacteria that live in your gut. They help regulate your immune system, control intestinal permeability, digest your food, synthesize nutrients like vitamin K2, send hunger/fullness signals to your brain, and do all kinds of other stuff. But they really don’t like gluten, and gluten really doesn’t like them. People with celiac disease often have very bad problems with the gut flora, but those problems are significantly reduced when the person eliminates gluten. Once again, it’s not limited to celiac disease: non-celiac gluten sensitivity also involves disturbances in the gut flora. Even in people who aren’t sensitive to gluten at all, inflammation caused by other components of wheat can also rebound on the gut biome. And independently of any of that, wheat is also high in FODMAPs, which may be an issue for people with sensitivities to that. In people with celiac disease, gluten causes immediate and severe symptoms (diarrhea and/or constipation, heartburn, pain, bloating, gas, stools that smell awful, sometimes vomiting…). In people with non-celiac gluten sensitivity, symptoms are typically similar to celiac disease. Even in people who aren’t sensitive to gluten specifically, the inflammatory action of other components of wheat (wheat germ agglutinin and amylase trypsin inhibitors) contributes to chronic, relapsing gut problems. Of course, there are non-wheat-related reasons why a person might have GI problems (stress is a biggie, and stress is certifiably gluten-free). But gluten can contribute to the problem, even if it’s ‘only’ a low-level inflammatory response that you’ve gotten used to. Sure, constipation and feeling bloated after meals might be your ‘normal,’ but what if it didn’t have to be? Think of gluten or wheat issues, and you probably think of the gut first. The typical symptoms are all gut-related. But actually, there’s another important organ at stake: your brain. Brain fog and fatigue are symptoms of both celiac disease and non-celiac gluten sensitivity. On a more serious note, the gut inflammation and microbiome disturbances involved in the immune-inflammatory response to gluten may increase vulnerability to dementia and Alzheimer’s disease. Autoimmunity in general (whether it’s celiac disease or some other gluten-related autoimmunity) may be involved in depression. This doesn’t mean that gluten is the cause of all mental health problems or that eliminating gluten will cure them. Nobody is saying that. Mental health is complicated and there are all kinds of factors to consider. The point is that in some people, gluten may be one of them. The most famous cause of gluten-related skin problems is celiac disease, which can cause a skin disease called dermatitis herpetiformis. Symptoms of dermatitis herpetiformis include an itchy, red rash with raised blisters. Symptoms typically show up in a person’s 20’s. And once again, this isn’t limited to celiac disease. This study describes the way non-celiac gluten sensitivity can show up as skin problems: ‘very itchy…similar to eczema, psoriasis, or dermatitis herpetiformis.’ The itchy skin showed up most often on the arms and legs. Who is Dr. Bill Bailey? The information on this site is not intended or implied to be a substitute for professional medical advice, diagnosis or treatment. All content, including text, graphics, images and information, contained on or available through, this web site is for general information purposes only. The Traditional Naturopath, and Dr. Bill Bailey, make no representation and assume no responsibility for the accuracy of information contained on, or available through, this web site, and such information is subject to change without notice. You are encouraged to confirm any information obtained from, or through, this web site with other sources, and review all information regarding any medical condition or treatment with your physician. Dr. Bill Bailey retains the copyright to all original content. Posted content from other sites, blogs, or news sources, are the property of their original owners, and we do our best to note that specifically on all material on the site. We do aggregate items from other sites to provide current Natural Health News for our readers.